Guests, and their phones, love Dean the Basset. Event appearances by this ultra-adorable pooch are social-media gold! Dean’s red-carpet ambles, scratch-behind-the-ears meet and greets, and patient posing for fan selfies create tons of share-worthy postings and online buzz! As well as being an on-site attraction, this four-legged celebrity is an online “influencer” with event and brand endorsement outreach extending to his “pack” of nearly 200,000 followers. 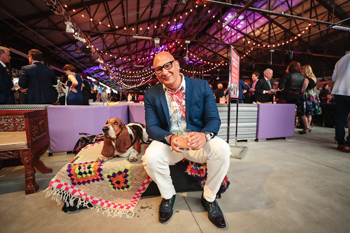 A recent collaboration with Sick Kids Scrubs in the City fundraiser is a perfect example of how events can tap into Dean’s channel to raise event awareness and engagement among “new” audiences.